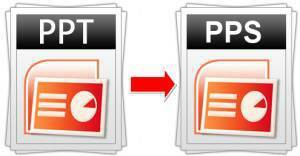 Change PPS to PPT is a simple trick, you don't need any software. If you want to change powerpoint format from pps into ppt, you just edit on format box, rename it from pps into ppt. PPS is a format for powerpoint show, so it just can show a file powerpoint but you cannot edit, is some kind a protection for a powerpoint file. And ppt is different from pps, with ppt you can edit powerpoint file into what you like. You can copy and change a formation, you can modified and anything you like in ppt. Ppt is regular format for powerpoint, actually for powerpoint 97 until 2003, for higher format powerpoint use additional word x, so we know it as pptx. Both ppt and pptx is same file, but you can't open file pptx in powerpoint 2003, it wouldn't be opened. So if you find file pps but you wan to change it into ppt, just change the extension *.pps into *.ppt, simple isn't it? i give you a sample so you can try it, ok.